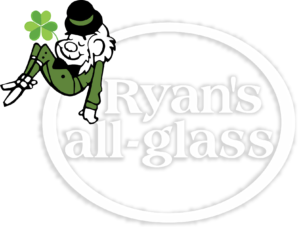 Welcome to Ryan’s all-glass! We are a family owned company that has been providing professional glass products and services within the Cincinnati, Dayton, and Northern Kentucky region for over 35 years. We are dedicated to providing the best service and highest quality of work to help your vision become a reality. Ryan’s all-glass specializes in stunning shower and bath enclosures, mirrors, and many other residential and commercial glass applications. We are committed to superior customer service, dependability, and creativity. This attention to the customer’s needs has made Ryan’s all-glass the most trusted name in the industry. When you work with us, we treat you like family. Customer satisfaction is our highest priority. Transform your home into a beautiful oasis and achieve the aesthetic you have always envisioned with the help of our Ryan’s all-glass team and the many options of glass products and services. We recognize how important it is to feel ‘at home’ in your own home, and we want our creativity and imagination to marry with your vision to create a truly spectacular final product. Whether you need mirrors, handrails, window replacements, tabletops, vanities, backsplashes, or shelves, we do it all. You can always rely on us for excellent and reliable customer service. We guarantee our work, and if you need repairs or emergency services, Ryan’s is here for you. The commercial division of Ryan’s all-glass is dedicated to working with the various contractors and businesses in our community. Whether it’s a new construction project, remodeling, emergency board-ups/service, or simple glass replacements, we offer a wide array of glass products and services for commercial properties and projects. Our commercial expertise includes: storefronts and curtain walls, security glass, railings, conference rooms, energy efficient glazing, and more. Our commercial department is dedicated to help you value engineer every project, while maintaining the standards and requirements of the building code and architectural specifications. If you need a renovation or repair of an existing building, we will work hard to help you achieve your construction goals. You will feel confident working with our experienced team while leaning on our unparalleled customer service for all your commercial glass needs. 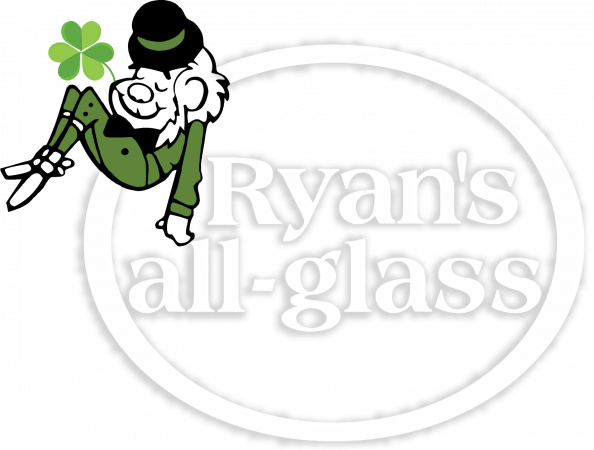 Bruce Ryan is the founder of Ryan’s all-glass. He is a Cincinnati native who raised his family in the beautiful Queen City. Bruce started Ryan’s all-glass in 1982 when he identified the need for a glass company to provide customers with custom glass work, unparalleled customer service, and all at a competitive price. He envisioned a one stop glass shop, providing quality services and products to commercial and residential customers. He and his son, Dan Ryan, are now co-owners and are actively involved in everyday operations. Both Bruce and Dan take pride in the company that bears their name and strive everyday to not only get the job done right, but to provide all customers with a high degree of quality service and satisfaction. If you’re in need of high-quality glass products and services, you can have confidence in calling Ryan’s all-glass. With over 35 years of business experience focused on incredible quality and service, you can trust that we have the tools and the expertise to create whatever you envision for your home or business. We know everyone has a unique vision and individual needs, and we aim to achieve that every time. We believe that’s what sets us apart; Ryan’s takes the time to learn your needs, understand your budget, and then goes to work executing those plans to meet or exceed your expectations. Call us today to see how Ryan’s all-glass can help with all of your glass design, replacement, and repair questions. We look forward to making your vision a reality!